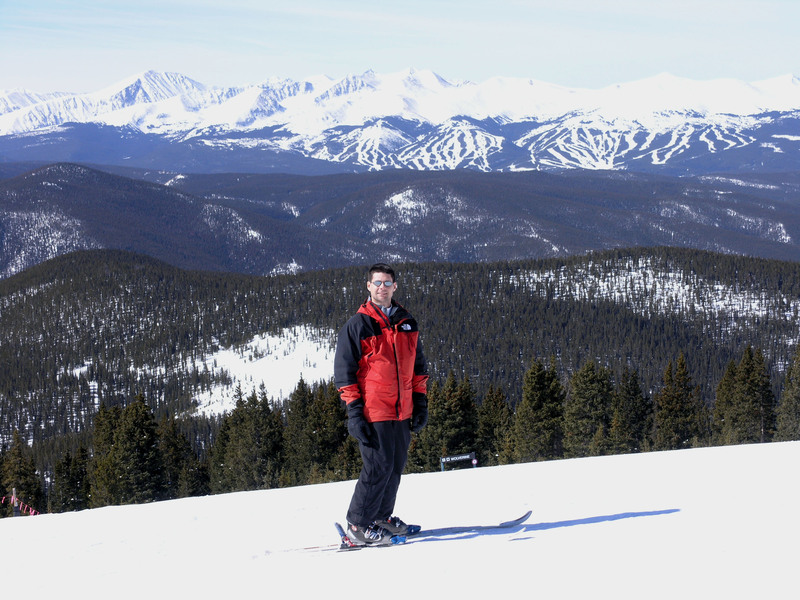 Keystone is one of the several Summit County resorts about 75 miles from Denver. It’s popular with families with tons of mellow groomers, large terrain parks, and kids programs. 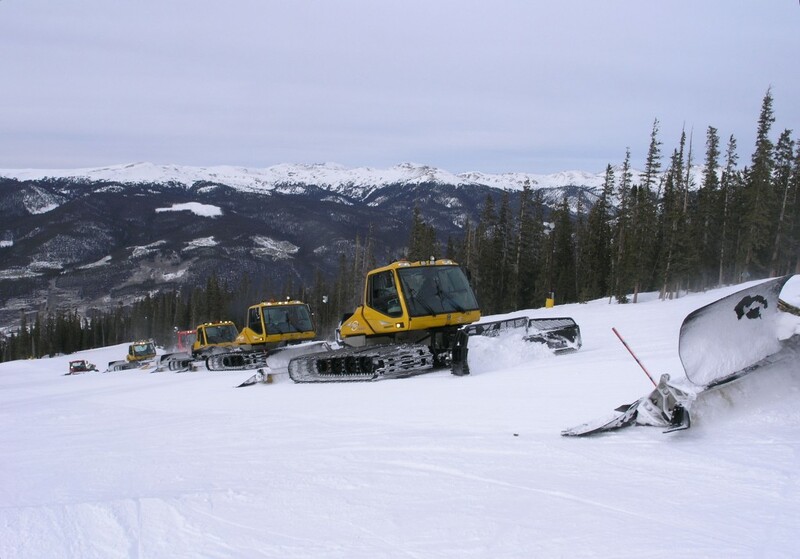 They also have the largest night skiing operation in Colorado, with 15 lighted trails that extend all the way to the top of the mountain. 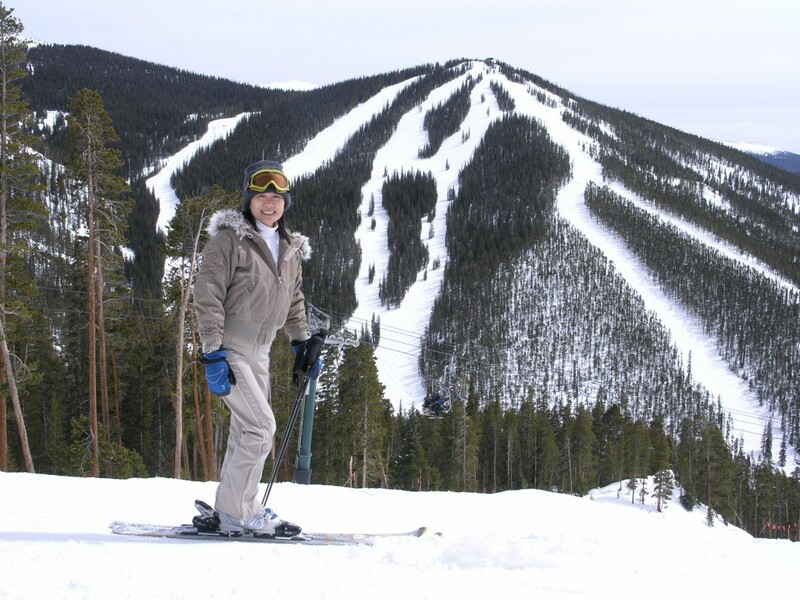 We only skied Keystone together for one day that was cut a little short due to a really bad collision AiRung had with a snowboarder, but I skied there for several days back in the late 1980’s when I was helping run a Nastar race, as well as a night skiing session back in the 80’s. Each and every time I was there strange things happened relating to poor management like restaurants being closed, getting stranded on the gondola for about an hour, and terrain that was closed for no apparent reason. Thus, it’s a bit hard to give Keystone a decent review, but here is my take on it. Note that we have very few pictures because it was only one day with flat light. On paper Keystone checks most of the boxes with almost 3,000 acres, over 3,000 ft of vertical, 135 trails, over 600 acres of snowmaking, and 14 lifts. The one missing ingredient is snow, with only 235 annual inches. 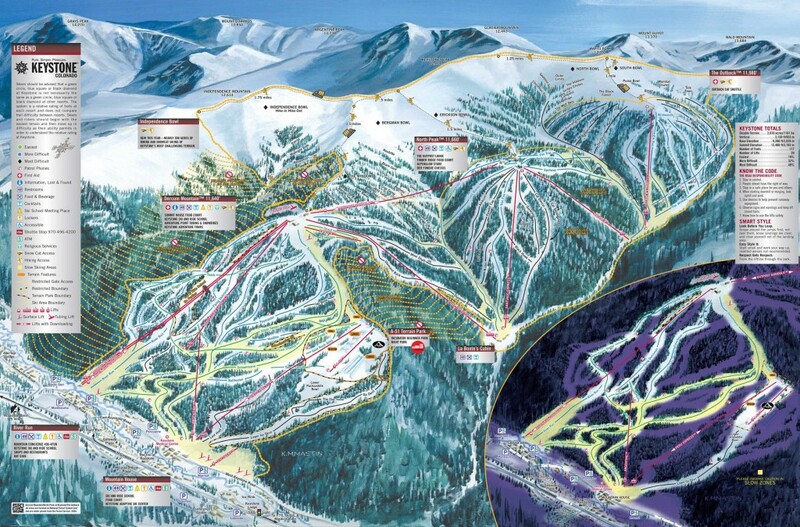 That’s right at the bottom for all the Colorado resorts on our list. For some reason Keystone gets about 115-inches less than nearby Breckenridge to the west, and 165-inches less than nearby Loveland just to the North. Because of that they focus on snowmaking and grooming, which is impressive. One of the highlights we noticed was the mid-day grooming which freshens things up nicely. On the front side, there really isn’t that much for us on skiers left of the mountain which is mostly beginner and low-intermediate terrain. This would be a GREAT place to go if you are in those categories though. I can’t think of many other places that have so much easier terrain. On skiers right the Gondola and Montezuma serve some steeper blues that are always groomed and great for high-speed cruising. On the back side there are are 2 distinct peaks with some steeper terrain: North Peak and The Outback. We spent most of our time on those 2 pods in 2006. North Peak was a blast with some steep long groomers. It was bulletproof off the groomers when we were there so we didn’t sample the many bump runs, trees, and above-treeline terrain (hike-to or snowcat). A lot of it was actually closed. We were last there 9-years ago so hopefully things have changed for the better, but when we were there some of the restaurants were closed so everyone crowded into the couple that were open and that wasn’t great. We had wanted to try the very well-reviewed Der Fondue Chessel, but it was one that was closed (in March!). There is lots of lower-angle advanced terrain near and above treeline at Keystone that we weren’t able to sample due to closures and conditions. There is also cat skiing for $10 a run, which is a great deal. We would like to go back to give Keystone another chance. There are a lot of things that we weren’t able to do when we were there last that we would like to give a try. Next time we are in Summit County we will probably spend another day there.